I got ready for work the other day using what I consider foolproof sartorial strategy: black and denim. More specifically, I paired black trousers with a subtle pinstripe with a fitted, cropped, black turtleneck sweater, then finished the ensemble off with a pair of black heels. I tossed one of my favorite garments over the top of everything – a classic time-weathered denim jacket. So what if it’s so “weathered” it has totally eroded in a few small, discrete places? Holes give denim character, right? 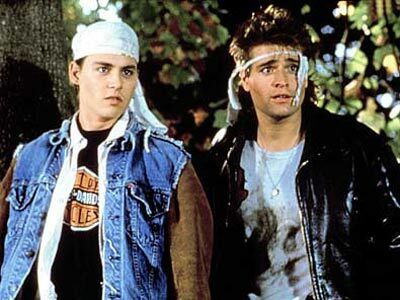 Sam gave me the once over and said that I looked like a stylish New Yorker… circa 21 Jump Street. I wore it anyway.